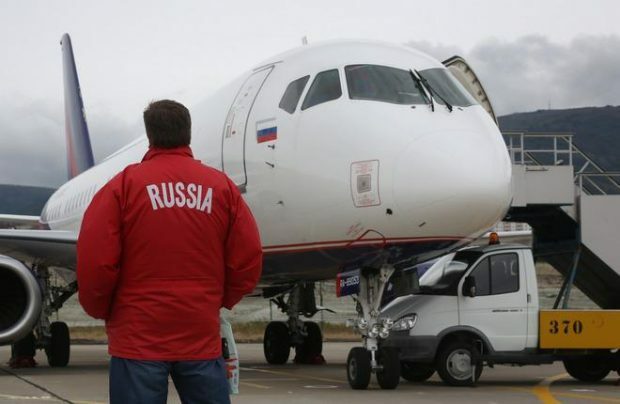 Sukhoi Superjet 100 (SSJ100) will get a new fire protection system designed by Technodinamika Holding, a part of Russia’s industrial giant Rostec. “We’ve got a contract with Sukhoi Civil Aircraft (SCAC) in place for design and delivery of a fire protection system for SSJ100”, the holding’s director Igor Nasenkov explained. – “We have committed to start serial deliveries from 2019. The system is being designed right now”. Notably, Technodinamika intends to become one of the major MRO providers for the MC-21. Speaking of the partnership with MC-21’s airframer Irkut in terms of the new aircraft’s maintenance, Rostec’s head Sergey Chemezov explained, that the relationships with Irkut are at the preparation stage. “I hope that we will finalize all formalities in the nearest future and the agreement will be signed.” He also said that the main MRO provider for the type will be Technodinamika’s subsidiary – Aviation Equipment company. “We expect that thanks to this contract Technodinamika will generate over $1 billion for MC-21 aftersale services within the next 10 years,” added Nasenkov. He also explained that according to Rostec’s new strategy the share of civilian production in Technidinamika’s output will reach 50% by 2025. “We must stick to this. This is our main target. This is absolutely correct – we all realize that contracts for the state defense procurement are unstable,” Nasenkov said.